Home / Gaming / GURPS / GURPS: Too Generic, or Just Generic Enough? Earlier this year I got my hands on a copy of the 3rd edition of Steve Jackson's Generic Universal Role Playing System or GURPS. 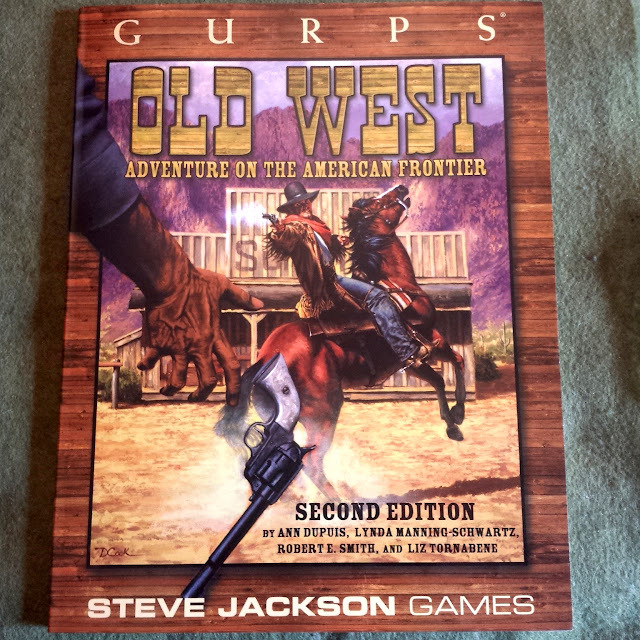 It was my first exposure to the game, and while I am aware they are currently on the 4th edition of GURPS, 3rd Edition gave me access to the only reason I wanted to play GURPS in the first place: GURPS Old West, which has not been ported forward to 4th edition. I have wanted to play an Historic Old West tabletop RPG for some time and GURPS also gave me a lot of options for expansion and exploration so I figured I would give it a go! We played about a half dozen games of Old West GURPS over a month before returning to our usual campaign cycle. 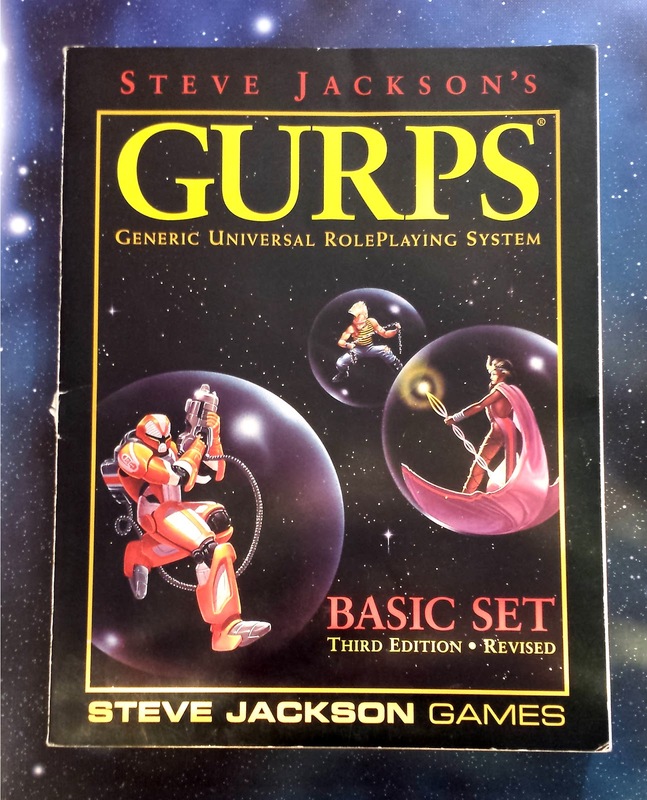 We all really liked the system and came away with a positive feelings about GURPS,. We even snagged a few more modules including the Horror and Swashbuckling Modules. But this being said, since we played around in the old west for while, we haven't done much since. So here is the break down of what we thought of the system. In GURPS there are skills for everything! If you can think of it, they have a rule for it, and the guys weren't able to stump the list without venturing into the realm of absurdity. So you have a lot of flexibility across a lot of different time periods, to actively reflect the skills those people might have. Creating your characters is easy and utilizes a point system that is a refreshing change from the usual dice systems you find in tabletop RPGS. It is admittedly a little involved, and take some time but you can very easily create a fully fleshed out character. Perhaps my favourite thing about GURPS is that the modules are informative and well researched. They also contain useful game information, and my Old West book's pages are already worn from looking back so many times. Definitely a great system for so many historic settings, and for anyone wanting to experiment with cross-genre gaming. Despite having modules for dozens of campaign settings and information, there is nothing about GURPS that particularly lends itself to any setting. The very nature of a generic system means that it is designed to accommodate all contingencies. When it comes down to it, if you took away the Old West Module, the only thing different would be the Items and weapons my players had access to. Nothing about their stats would change, aside from an lost skill here or there, and honestly even without any of the modules to help, you could run just about any setting in a limited way. I guess what I am saying is that the the historic nature of the game feels a little hollow, as if something you toss over the GURPS system to make it look like the Old West, but it doesn't quite feel like the Old West. If that makes any sense. For me, GURPS is a little too generic. I think it is great for the occasional one-off game, and I would even play it for a short campaign. But beyond on that I feel as though the system would wear thin on me. I want something a little more hearty, something designed to suit a setting rather than attempt to suit any setting. In the end though, I would recommend GURPS in any edition to anyone, and if you are looking for something specific they will probably have it. But be warned it may lack the depth in game play mechanics you are looking for. If you were hoping that the Old West had a system for handling Duels you would be disappointed. So as a Gamer Master you will need to do some more work to bring the scenarios to life. What do you think? Is GURPS too generic? Or just Generic enough?